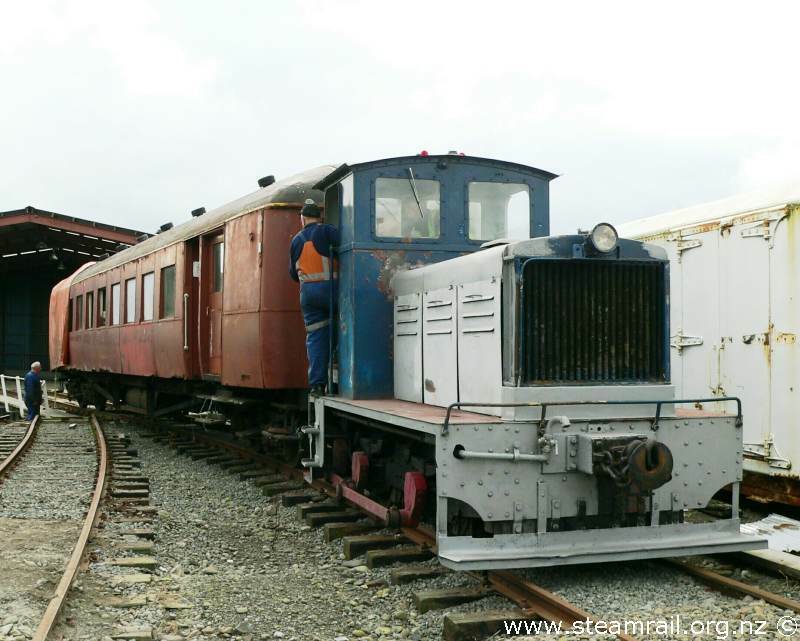 Tr13 is the class leader of the sub class of small NZR shunters and was first sent to Feilding when it first entered service in 1936. It is powered by a 105hp General Motors Detroit Diesel engine rated at 70bhp and the engine is limited to 300 ton on level ground and 50 ton on grades up to 1 in 50. It weighs 8.5 tonnes and has a maximum speed of 15mph in 4th gear. 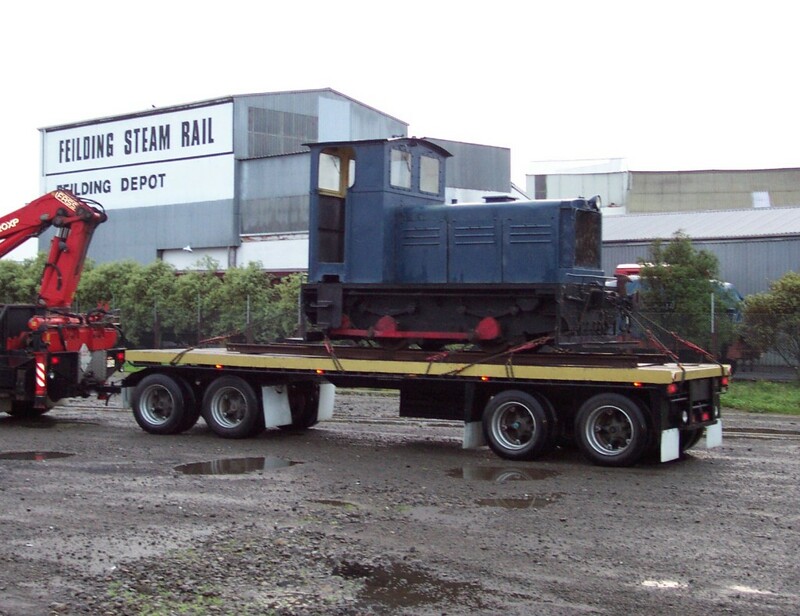 On the 18th of June 2003, Tr13 arrived in Feilding and was unloaded onto the rails with a McIntosh crane and placed in our depot. 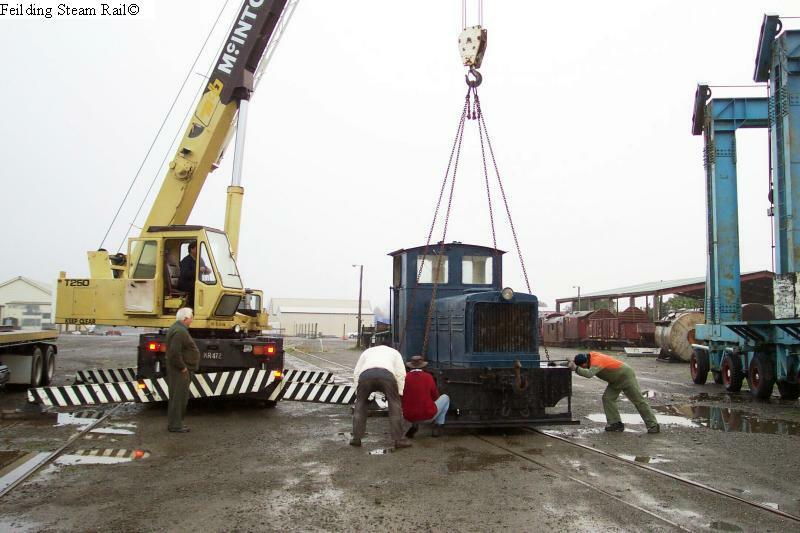 Tr13 lifted onto the rails in Feilding by crane. 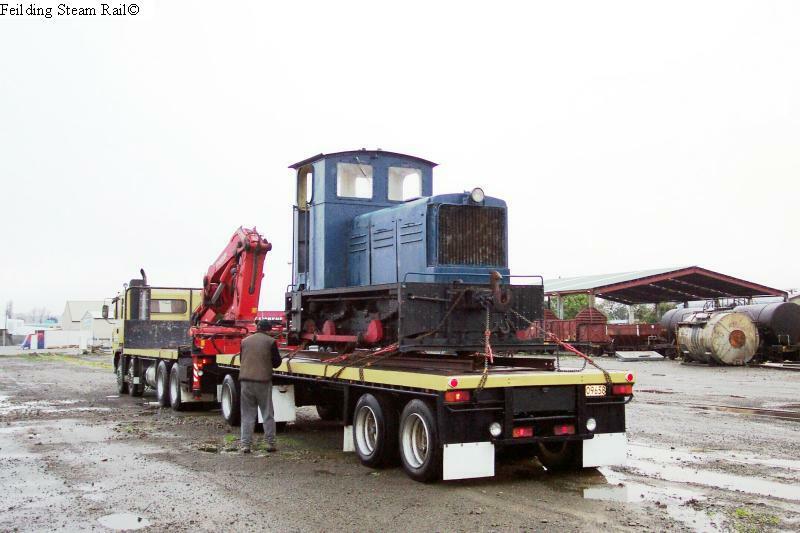 TR13 pushing carriages around the yard. 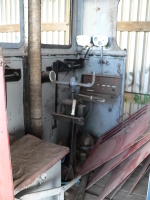 Cab of Tr13 showing the brake handle. 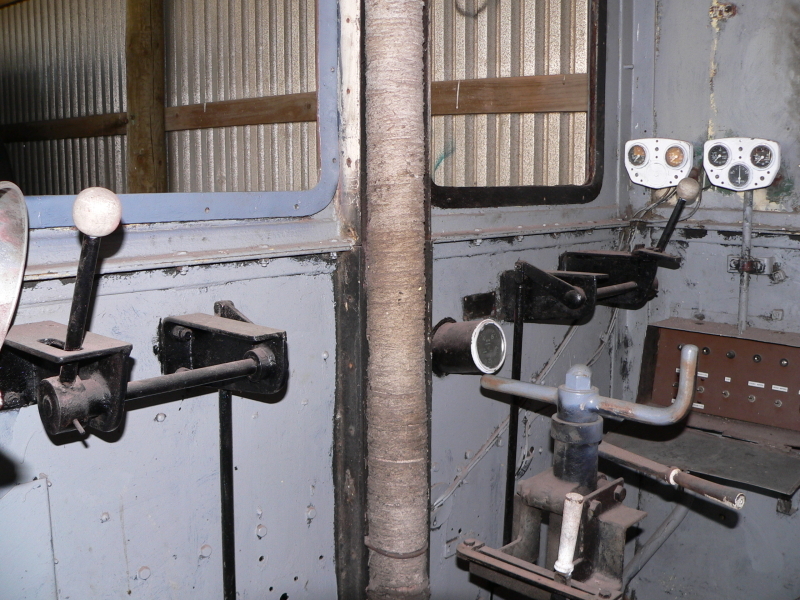 This is the only brake fitted and is hand controlled. 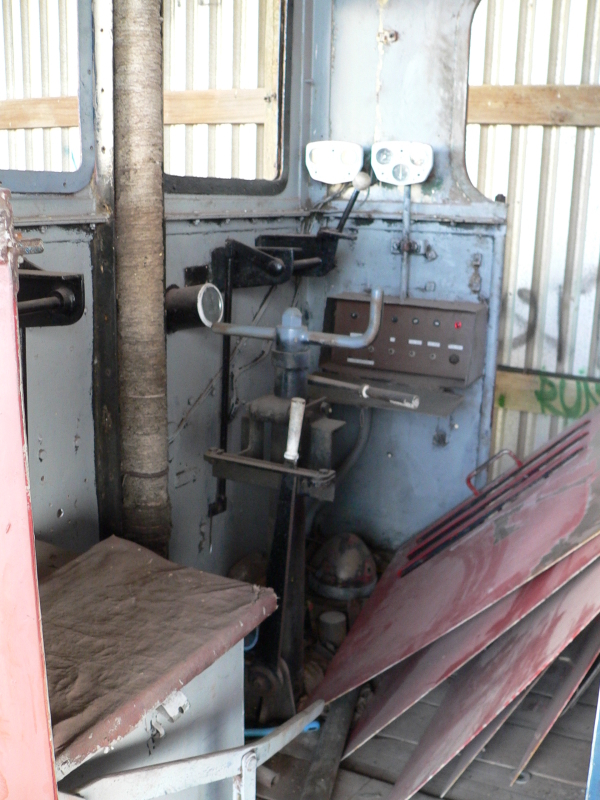 A common addition to these little Trs, is an air brake and also train braking, which we are considering for Tr 13. To see what restoration and maintence has been completed since Tr13 came to FDSRS, have a look at the Tr13 restoration page.